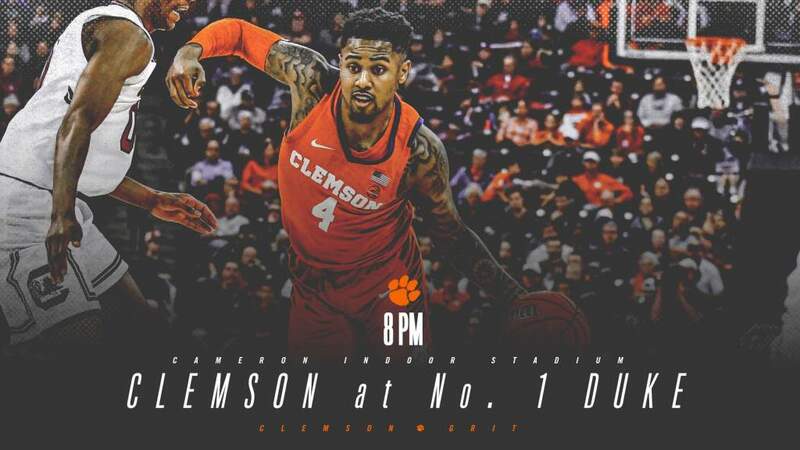 📍 Cameron Indoor Stadium – Durham, N.C.
🏀⏰ Tipoff Time – 8:10 p.m.
• As Clemson opens up ACC play, it will look for its first road win at Duke since 1995. • Marcquise Reed finished non-conference play averaging 20.1 points per contest – the third-highest average in the ACC this season. • Reed’s 20.1 points per contest is the most ever under head coach Brad Brownell through non-conference play and the most since at least the 2007-08 season. • The Tigers own 15 wins over ranked Duke teams. Head coach Brad Brownell has earned each of the last two victories in 2016 and 2014. • With four blocks against Lipscomb, Elijah Thomas entered the program’s top 10 list for career blocks and is No. 10 with 129 career blocked shots. • Shelton Mitchell –– 23 points, three rebounds on 8-for-15 shooting in 35 minutes in 2017. • Marcquise Reed — Eight points and two rebounds in 22 minutes in 2017. • Elijah Thomas — 15 points, nine rebounds, two blocks on 5-for-7 shooting in 30 minutes. • Clemson has defeated a top-20 Duke team 15 times in its history, the most top-25 wins by Clemson over a school. That includes 11 top-10 wins. 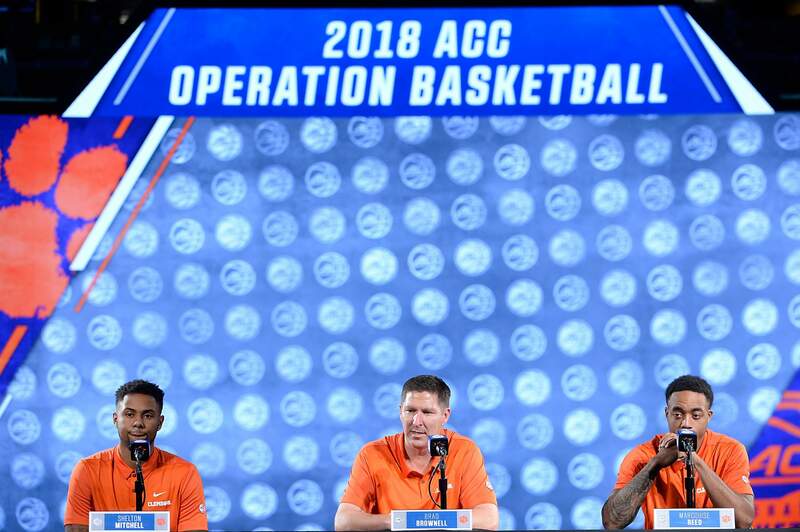 • The last two victories have come under Brad Brownell in 2016 and 2014. • Clemson’s most recent win over Duke was a 68-63 victory and that was a sixth-ranked Duke team. • Clemson upset a top-20 Duke team six times between 1988-97, with the last victory coming in 1996-97 at Clemson, an 86-82 overtime win over a 10th-ranked Duke team. That was the third year in a row that Clemson had defeated a top 20 Duke team under Rick Barnes. • Clemson also defeated a top-10 Duke team three years in a row between 1988-90. • Dale Davis and Elden Campbell were common denominators on those teams. The 1990 victory at Clemson clinched the ACC regular season championship for the Tigers. All three of those were at Clemson. • It is interesting to note that six of Clemson’s 15 wins over top-20 Duke teams have taken place between Jan. 3-13 on the calendar.